There is something so romantic about a destination wedding. You can just picture it can’t you, getting married at sunset as waves quietly crash behind you, the sun gently kissing your skin, the warm sand between your toes and the refreshing sea breeze as it lightly blows through your hair. It’s perfect. While jetting off with your groom to an exotic or tropical location can make for a more memorable occasion, the combination of sand, sea, tropical heat and wind can certainly make finding the perfect wedding dress a little more challenging. Though to make your dress hunting a little easier here are 5 tips to help you find the perfect destination wedding dress that will be both comfortable and stunning. There are so many different dress shapes to choose from for your destination wedding, though it’s important not to neglect comfort for style. It can be easy to forget that you will spend around 10 hours in your wedding dress on your wedding day, so you definitely need to make sure you’re comfortable. While pretty, A-line and ballerina skirt dresses have too much material and can get rather hot, and while elegant, mermaid and sheath dresses can be difficult to walk in, particularly on the beach. For ultimate comfort and ease of movement consider a slip dress or a straight line dress with (or without) a slit. The most common bodice design for a destination wedding is sleeveless, simply because it is cool and comfortable. Depending on your preference and what most suits your body shape, you can choose to have wide straps or spaghetti straps, a halter top with an open back or even a strapless gown. Also consider whether you would prefer a simple, elegant design or a bodice that has more beading and embellishments. The material you choose for your destination wedding dress is incredibly important. 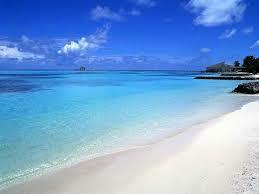 First and foremost you will want to choose a fabric that is wrinkle resistant for ease of packing and travelling. If you are having your wedding in a tropical location you will also want a breathable, airy, and lightweight fabric, such as georgette, chiffon, crepe, organza or even cotton. Satin or satin blends can also be a good choice. In warmer climates it is best to avoid fabrics like silk that will show all signs of perspiration, and polyester or polyester blends that will be heavy and cling to you. While the traditional wedding dress with a long train is beautiful, it isn’t the easiest or the most practical choice for a destination wedding. Not only is it harder to transport to your destination given its larger size and the chance of it getting creased, it is also difficult to move around in, warmer given the extra material and harder to keep clean due to it dragging, particularly if you are getting married in the sand. Most destination brides choose an ankle length dress which still gives the traditional look, without the added complication floor length gowns have. Though you can also choose to use your destination wedding as an opportunity to be a little less traditional and have a shorter dress length or a dress that is shorter at the front and longer at the back. While white and variations of white are always ideal for a wedding dress, if your destination wedding is less traditional, you could also choose a different colour for your wedding dress to make it even more memorable. Looking for some wedding and bridesmaid dress inspiration? Check out our Spring Summer 2013 Collection. DO YOU WANT TO USE THIS ARTICLE IN YOUR E-ZINE OR WEBSITE? You can, as long as you include this text copy in its entirety: Do you have a special occasion coming up and need a special outfit? Stokes Thompson Design has a range to suit many occasions. Click here to view our Spring Summer 2013 Collection. Whether you are planning on being on the field at Flemington or watching the races at a luncheon or cocktail event, spring racing season is the perfect occasion to step outside your fashion comfort zone and get a little bold. From embellished hats and fascinators to elegant and intricate dresses, racing season is a time to dress to impress, and with over $400,000 worth of prizes on offer for fashions on the field, the fashion stakes are high. 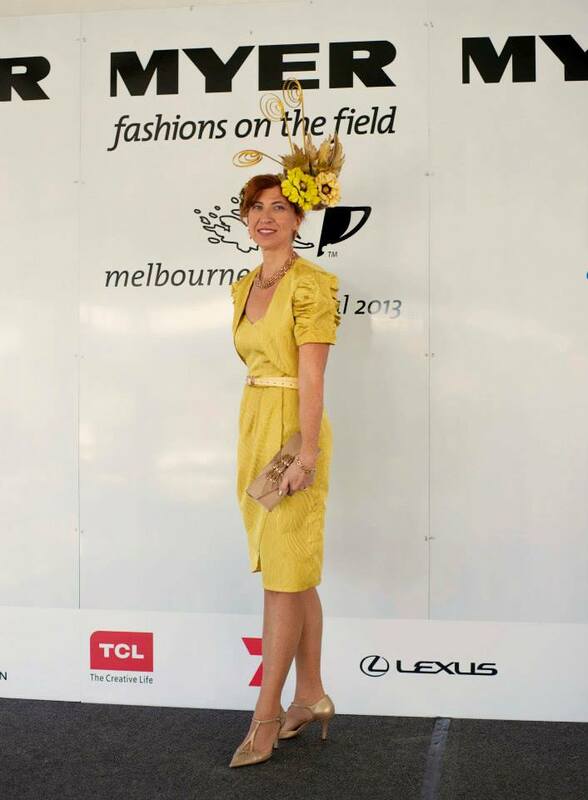 So how do you choose what to wear this spring racing season? Here are some tips and the latest trends to ensure that you, along with the big race will stop people in their tracks. Your dress Your dress should be elegant and stylish while making a clear statement. Popular trends to try this season are monochrome going all one colour or a mix of black and white, lady-like with shift dresses, longer hemlines and lace, minimalistic with simple lines and cool colours, or embellished with gems and crystals. As for what colours are trending, black and white are staying strong with icy pastels and hints of pink. Floral prints also bloomed this spring. When choosing your colours keep in mind too that pastel and light colours will reflect more heat and be cooler, which is particularly important if you will be spending the day walking around in the sun. Your headwear Headwear is a must for the races and a great opportunity to make a bold statement. This racing season expect to see lots of hats with boaters, pillboxes, trilbies and fedoras likely to be popular. Add netting over the eyes and vintage jewel or feather embellishments for a more dramatic statement. 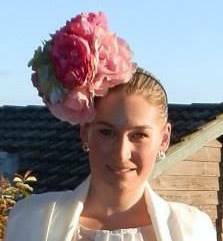 A well-designed fascinator is also a great choice and can be a comb or headband style depending on you preference. If you are after a more understated look brooches and gemstones are also on-trend. Your shoes If you will be on the field for the race or enjoying it at a cocktail event, keep in mind that you will be on your feet all day so choose your shoes wisely. A pair of comfortable heels like wedges, kitten keels or pointed flats would be the best way to go, and with flatter shoes trending at the moment you are really spoilt for choice. Like any pair of new shoes you buy for a big event, make sure you wear them in before the day to ensure you are as comfortable as possible. Your hat or fascinator should make the loudest statement so keep the rest of your outfit and accessories simple yet elegant. Go for pretty yet fine jewelry and a small elegant clutch. You really want to be more with less. Racing season is always a great opportunity to be a little daring and bold, though it is also important to feel confident in what you are wearing and not over complicate your outfit. You want to be able to carry yourself with grace and poise, though to do this you will need to be comfortable and confident in yourself and what you are wearing. If you don’t feel confident with what you are wearing, you will never wear it well. 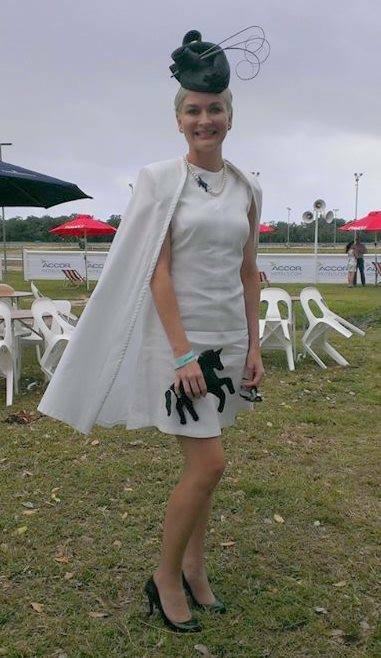 Looking for some racing day fashion inspiration? Have a browse through our Spring Summer 2013 Collection to get some ideas. 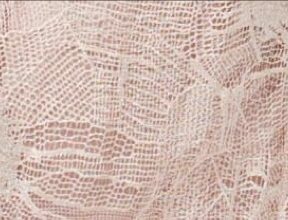 Our ‘Peche Argent’ dress in powder pink French lace and silk chiffon is one of our latest exclusive designs. This dress is ideal for weddings and special occasions. Whether you are looking for a bridal dress, dresses for your bridesmaids or just want something to look stunning on that special occasion, this dress looks sensational and is easy to wear. The powder pink silk chiffon feature at the neckline and back perfectly compliments the sensuality of the French lace. Read more about this dress and order today. Want a special dress for your special occasion? 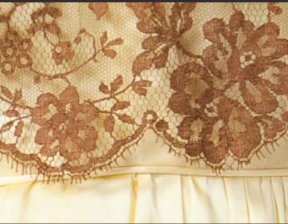 This pale lemon duchess satin dress with beige/biscuit coloured French silk lace overlay – part of the Stokes Thompson Spring Summer 2013 collection will look sensational. This three quarter length dress is idea for a resort wedding, a vintage style bridesmaid’s dress or if you are a guest at a wedding. Whatever your special occasion, you’ll feel very special in this dress. Find out more about this dress on our shopping page. Download PDF of our Spring Summer 2013 designer range.